4th of July Throwdown Announcement! Finished one, let's start another! Given the holiday, I looked into some traditional meats that were consumed around the time of the American Revolution. One thing in particular stuck out to me. Pork had been a food taboo among northern Britons and the primary meat had been sheep. In the American colonies the raising of sheep was not as efficient and mutton was therefore replaced with pork. So, a pork throwdown it is! - This is a BBQ forum, so the product must be cooked over some sort of fire. That can be gas, pellets, wood, charcoal....you get the idea. - Presentation will be key. You can include anything on the plate, to include sides, if you'd like, but the voting SHOULD be based upon the meat. Personally, I'd love nothing more than to see 30 entries on this one. So, I'm upping the prizes for the winner. The winner of this throwdown will receive two 10 oz RTIC tumblers, and a large amount of SuckleBusters gear from me. There is the chance I will add to this as we get closer, but that will be determined by participation. Post any questions you have here and I'll answer them! Re: 4th of July Throwdown Announcement! Also, if you happen to be the winning submission and the prizes aren't quite your thing, let me know we can find something that is. Lol, whole pig.........only on a birthday that ends in a zero,lol. But after getting waylaid last throw down, I have something in mind. Prizes are secondary to me, I'm doing it to see how close I can get to you guys. Send the ribs, not the brisket! Love to have a new participant. Glad this thread came up today! 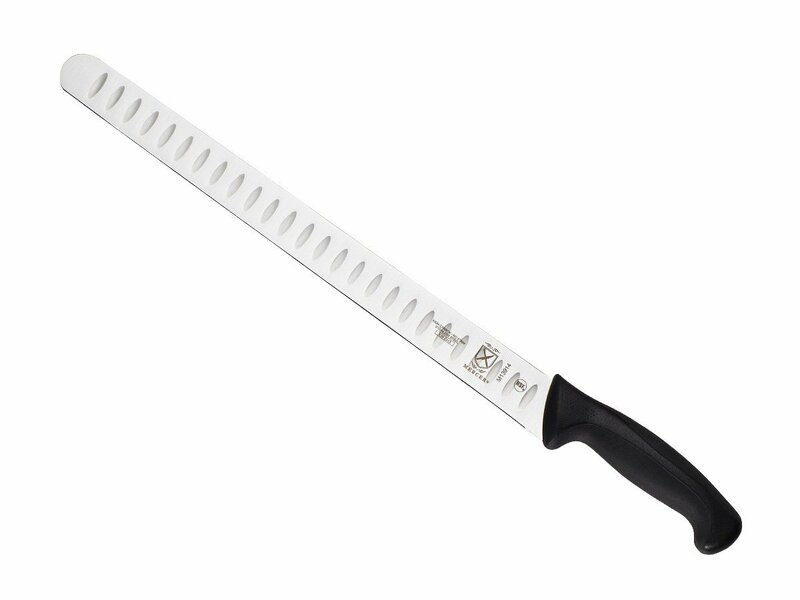 Put some thought into it, and, if we reach 10 valid entries for this throwdown, IN ADDITION to the prizes already listed, I will be adding in a brand new 10" Granton-edge slicing knife. Well, not "that" as in the knife, just the idea. Ah you know what I meant. Last edited by woodenvisions on Sun Jun 11, 2017 9:58 am, edited 2 times in total. Btw, that gif cracks me up !! BUT I am going to try and do one this weekend for fathers day. Still counts right? ?